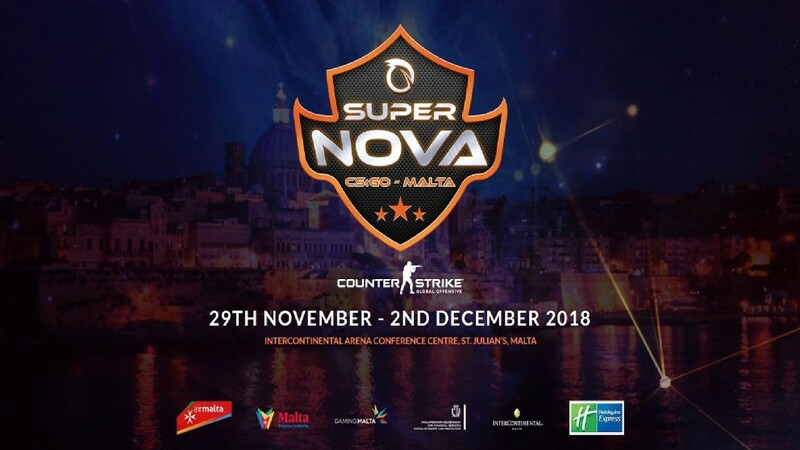 The SuperNova lan is a Tier 1 event set to take place from the 29th of November until the 2nd of December in Malta. The event will feature 8 teams from all over the world and will have a total prize pool of $150,000. Teams will be divided to two groups with Group A featuring teams such as Team Liquid, NRG ESports, Team Kinguin and Virtus.Pro. Meanwhile on B you will see teams such as HellRaisers, BIG, Gambit and Tyloo. Many will be quick to jump in to conclusion that Liquid are set to have an easy path through the group stages and win the tournament but given their recent results, and rather, almost Trophy-less year is this even going to happen? Fans have set high expectations and rightly so, they are the highest ranked team amongst all attending this event and this event should give a lot to think about if they fail to at least reach the semi finals. I certainly wouldn’t bet any money on Liquid as the team is as stable as the Greek economy. Initially Liquid’s biggest competitors should be NRG, both teams will be travelling all the way from the ECS Finals, event which was held in Texas, given the distance, fatigue and possible jet lag can be taken in to consideration. All in all, NRG have been far more promising than Liquid, at least in the last few weeks, despite their intensive schedule the team managed to get out of the groups at each event they attended including ECS and cs_summit 3. Battle for the top spot will most likely come down to the two and we do see NRG coming on top. On the other end of Group B you will see Virtus.Pro and Kinguin, two polish squads with some of the longest standing players in the scene. It will be more than interesting to see TaZ play on the opposite side of Virtus.Pro, together where both teams are in attendance, will it be a friendly encounter or perhaps we will face some bloodshed rivalry? So far Kinguin failed to beat Virtus.Pro on both of the occasions that they met, their lan results haven’t been too promising either as they underperformed at cs_summit 3 and perhaps didn’t get the result they anticipated from Toyota Masters event. We are yet to see any significant performance from Kinguin online so it’s a big unknown and less likely that they will rejuvenate for their recent months. Meanwhile at Virtus.Pro things are fun, team with possibly the highest salaries amongst all players in the professional circuit, struggles to play against lower tier teams and only recently, with the last few results we’ve seen some form of confidence boost. Will Virtus.Pro ever come back to their form from before? Highly unlikely, can they cause an upset at this event? Perhaps. Especially when they face liquid in their first match it’ll be a big unknown how Liquid will perform after travelling for thousands of miles from Texas, and how Virtus Pro can capitalise on it. If you think Group A is full of unknowns then looking at Group B leaves me even more bamboozled than before. Looking at BIG who haven’t put out any significant performance, and rather disappointed their fans in the last few months, it will be interesting to see if this lineup is going to last with its weird consistency of young player such as Smooya amongst veterans such as gob b. Perhaps change is required to shake things up a bit. Tizian continues to put out magnificent performances yet the whole team just makes me feel bamboozled at times. The fact that they were taken into overtime against Na’Vi the other week, with the Ukrainian side playing with their coach would be considered a joke in my book and although they somehow managed to win the match it was too close of a call to give them any credit. In fact gob b got almost the identical amount of frags as Na’Vi’s coach, I mean, hello? If BIG leaves me baffled, the story at Gambit is even more of a joke as they literally put two of their most magnificent players up on winter sale. Perhaps Gambit should from their personal Christmas market with their best players being sold at bargain prices. Right now their team, with Dosia in charge has nothing to show for and I don’t see them putting any sort of significant performance at the event. HellRaisers took advantage of Gambit’s Winter sale and went ahead with signing Hobbit, player who is yet to gel into the team, still trying to figure out his position on the map. Then again everyone expected Deadfox to be replaced but instead Bondik was the one who stepped down in favour of Hobbit. We are yet to find out how this change will revolutionalise HellRaisers and perhaps this Lan event is too early to call or make any judgements on Hobbit. In the end we have the silent assassins as I would call them, the Chinese/Indonesian side, Tyloo who will be attending the event straight after their final at Toyota Master event where they faced Heroic. For me they are the group favourites, team that can definitely beat BIG and most definitely Gambit, we can expect an interesting match against HellRaisers if both teams face each other on inferno.